Today we're celebrating my first print magazine feature of 2018! 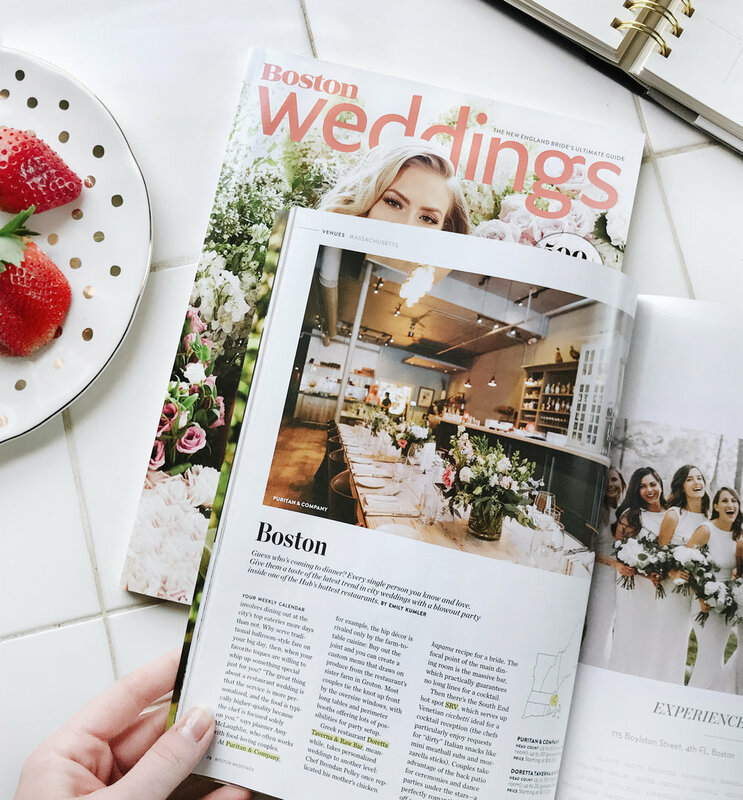 One of my favorite nights of the year was Steph & Dave’s wedding at Puritan & Company in Cambridge - and apparently, Boston Magazine loves Puritan & Co too! 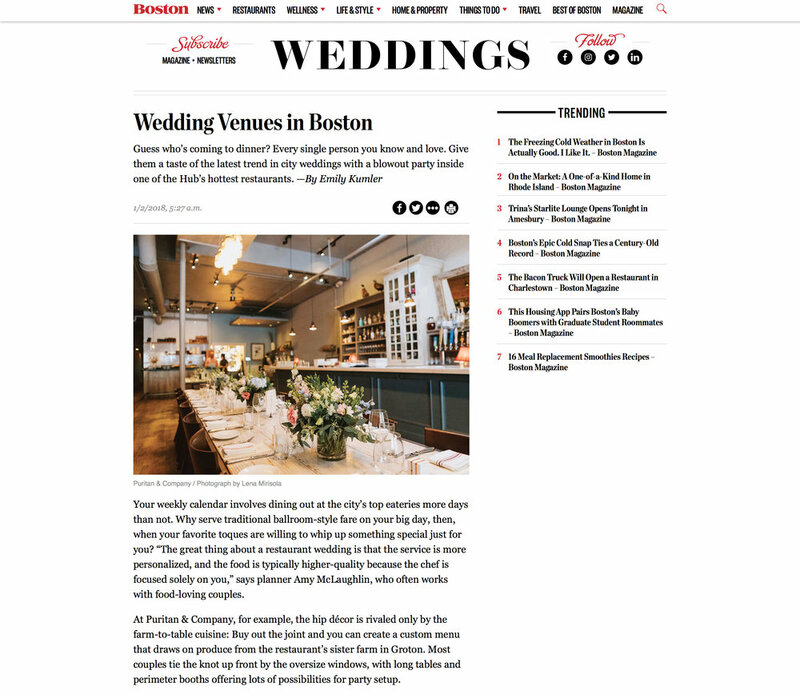 This seasonal, farm-to-table #InmanSquare restaurant earned a well-deserved feature in their bi-annual wedding issue, online and in print. Check out the article and venue inspo here or look below for more details from Steph & Dave's big day. Did you see the sunset engagement photo that was published in The Knot magazine?